I’m so glad I was able to see a special screening of “Bless Me, Ultima”. It reminded me so much of my Mexican-American childhood and my spiritual mother. The movie is an adaptation of Rudolfo Anaya’s classic novel. It depicts a young boy being exposed to the best and worst of people, evil and sin, and the powers of the human spirit, always measuring their belief in God through the grace of a curandera or as she is called the Ultima or La Grande. 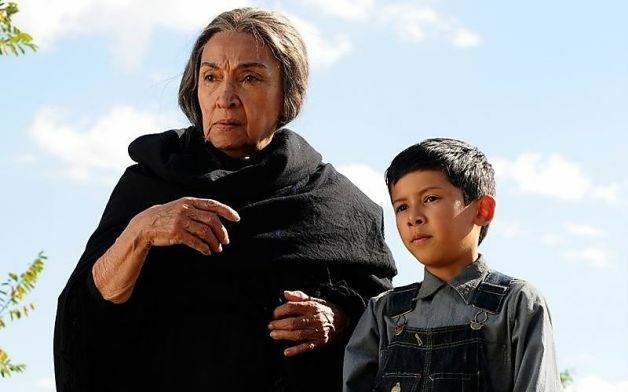 The movie explains how the curandera can touch the inner soul of that person and help them heal and how it affected a little boy named Antonio. I don’t know how other people viewed this movie but to me it was a flashback to when I was a little girl, close to Antonio’s age, first exposed to la curandera and my mother’s belief in her remedies. My earliest childhood memory was entering a curandera’s house passing the turtles in her front lawn. Yes, that’s right, turtles. I can vaguely recall listening to my mother explain our ailments and how she needed her help. The curandera was a very wise woman who would recommend brewing a special tea or in other more serious cases, helping to break a curse or “el susto” with a broom. I also recall living near a spiritual healer. His name was Senor Fidel and plenty of people would visit him to get spiritual counseling. I still remember walking into his office seeing this little man from behind a big desk. I can still smell the burning incense oil. As a neighbor, I felt lucky that I had him easily at my disposal for the occasional house call. I think back and recall the numerous visits to the botanica with my mother and the smell of the tea leaves walking past the front door. I have visions of how the tea leaves were selected and placed in tiny plastic bags with labels, to be carried back home with us so that we can make teas in order to help us sleep better at night. I can also recall my sweet mother creating an altar on her dresser with candles and placing the family bible close by. It was no surprise that she too knew all too well what to do if one of her little ones ever caught “el ojo”. She would lovingly cure it by rubbing our arms and legs with an egg (with red and green crosses on it), cracking it in a glass jar and placing it underneath our bed at night. Even though this may sound odd to you, this is what I grew up with, and it seemed very natural to me. It’s strange how much a movie brings things back to life. I look at my life now and wonder how much of that childhood and the memories of my late mother and our visits to the curandera stay with me. I guess it’s just like in the last scene when Antonio shared with us what his beloved Ultima meant to him, passing on to the next world. Posted in Uncategorized and tagged "Bless Me, "el ojo", "el susto", curandera, curandero, San Antonio, spiritual healing, Ultima"